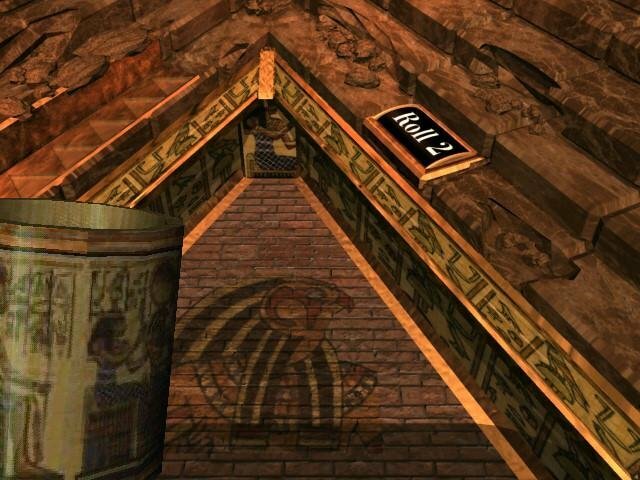 This package includes five game modes – Classic, Triple, Battle, Painted and Pyramid Yahtzee. 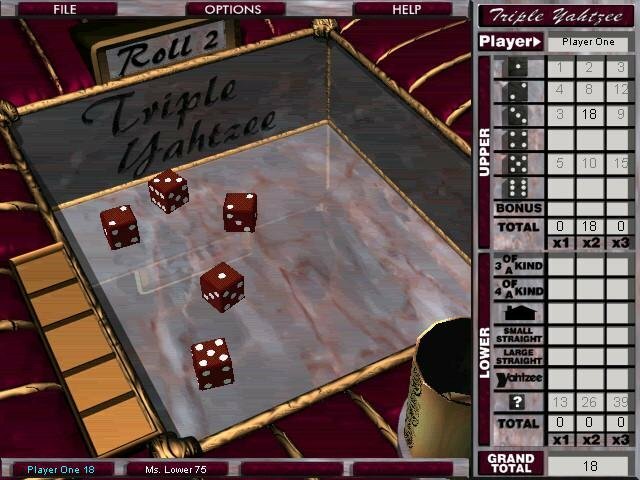 Classic is the basic game of Yahtzee that we’re all familiar with. 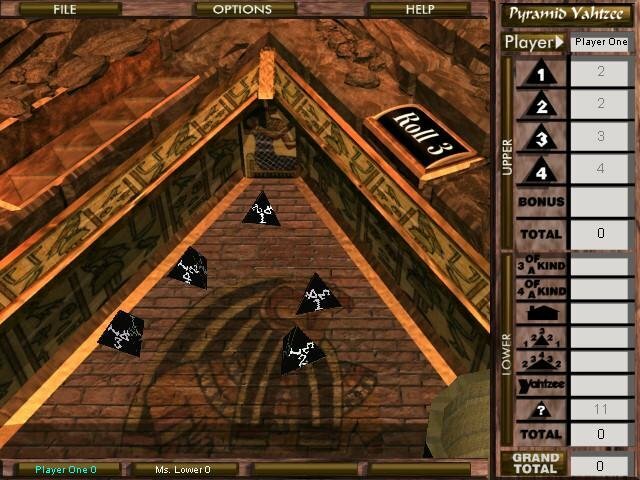 Triple merely increases the scoreboard for prolonged play sessions, Battle allows you to pull fast ones on your opponent, Painted adds colored dice allowing for different scoring combinations while Pyramid uses four-sided die. 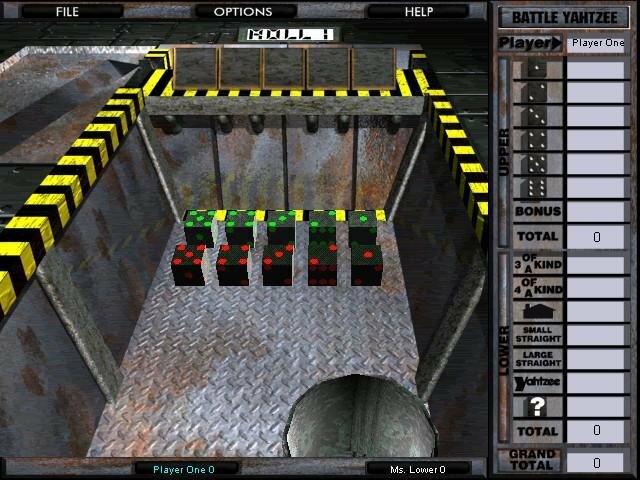 A hit-or-miss physics model simulates the complexities of dice-throwing to some degree, but it’s an added feature we could have lived without. 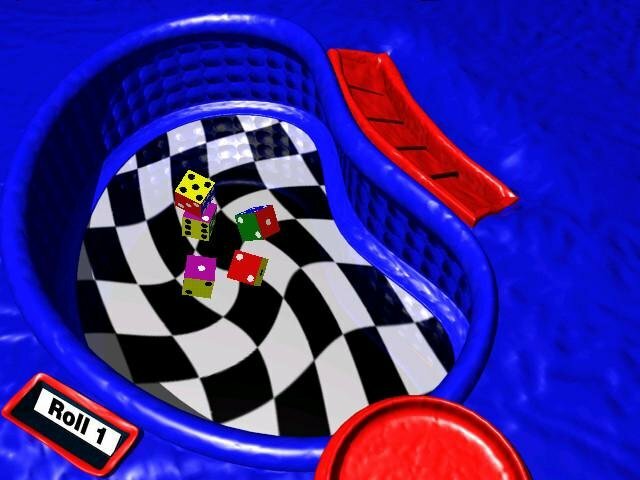 Pieces roll and tumble awkwardly most of the time, and the sounds are but a pale tribute to the familiar crackling heard when manipulating real dice. 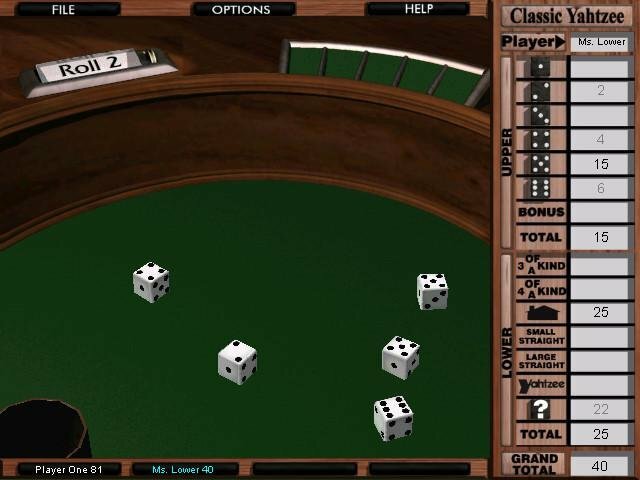 The combination of blending 3D playing dice and cups with pre-rendered backdrops is otherwise effective, and you have a choice of playing either against human or computer-controlled players. 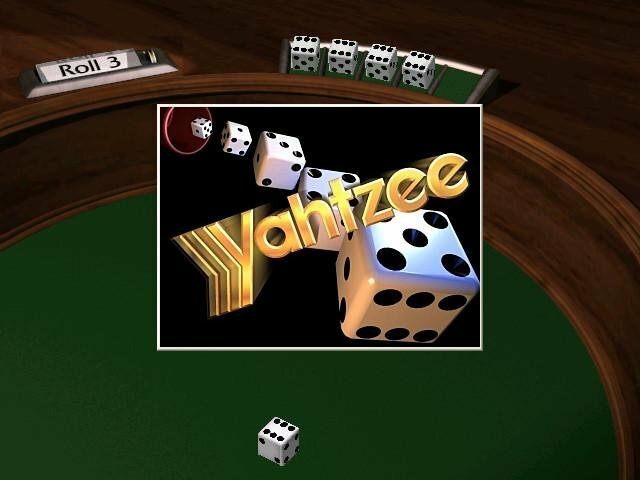 It’s an overall acceptable package if you’re keen on learning a couple of new Yahtzee games you wouldn’t otherwise know about, but there’s little else here deserving of interest. 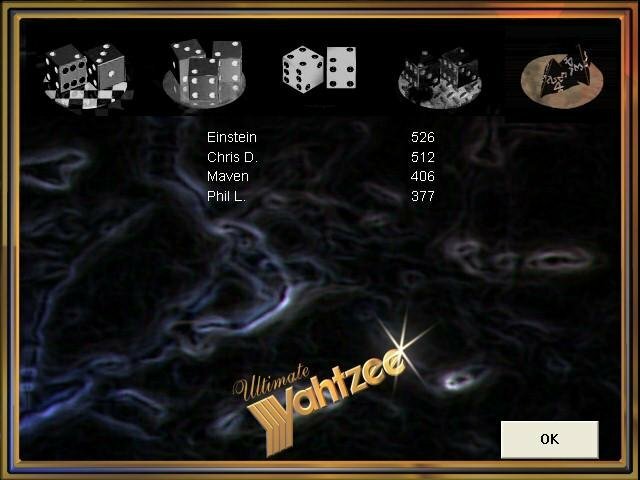 Trying to download Painted Yahtzee, but all I got was star wars stuff. What does this have to do with Yahtzee and how do I get painted yahtzee? 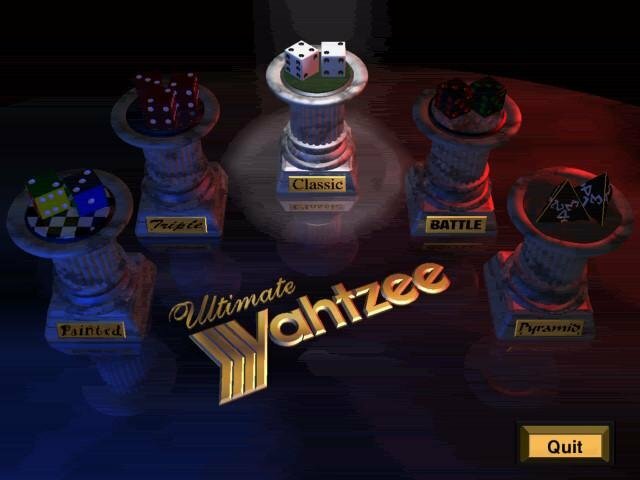 Painted Yahtzee is a part of Ultimate Yahtzee. 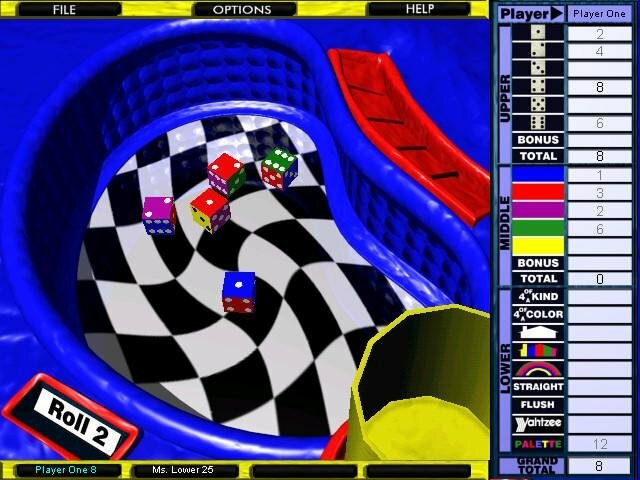 View the fourth screenshot. I’m not sure what you mean by Star Wars stuff. The link is working correctly.